Outer fabric is imported from Japan, with carefully chosen matching sturdy inner fabric to enhance the style and cuteness. Even though it looks quite small, but it can carry many many coins! 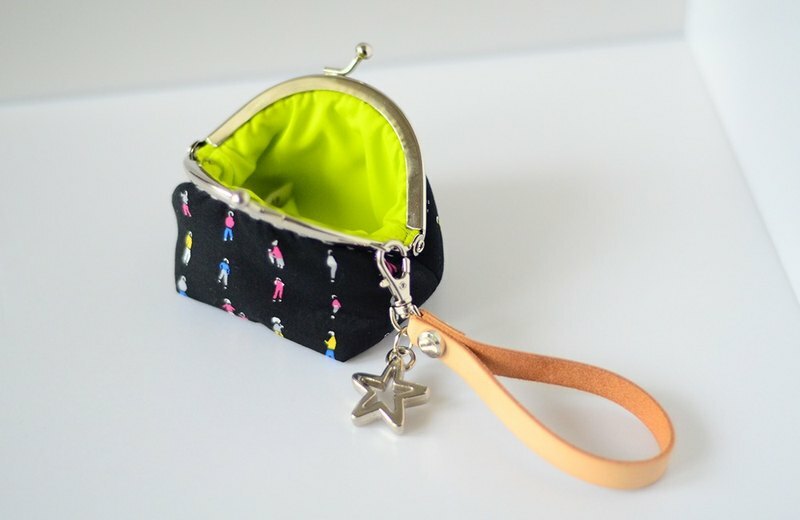 Come with a leather wristlet and silver charm for decoration. ❱ measurement : 8(W) x 6(H) x 5(D) cm ❱ frame open : 8(W) x 7(H) cm Preparation takes 3 days to ship. *since each of these products are entirely handmade, please consider any imperfections as proof of their uniqueness. :P The product in the photos might have slight differences but very similar.